Nowadays, a single day without using the Internet service is quite impossible to think as most of the services have already become online based. If, you think about entertainment, there are loads of options available in the cyber world in order to pass your leisure time. There are large numbers of users who prefer visit several popular social media websites or blogs in order connect to their friends, relatives, business partners to make regular interactions. Moreover, you can easily listen to music from online music stores or watch current movies without paying much. Moreover, users now prefer to share their collection of movies, music videos, and mp3s with other users; therefore, they prefer to use file sharing system. Fire sharing system has got different methods in order to make the whole downloading and uploading procure users friendly. Seed Box is known for their top quality service for users in the sector of file sharing system in order to avoid all those legal issues related to copyright materials that are preventing users from download and uploading files. However, if you can purchase a Seed Box along with a good VPN service, you can certainly do that without facing any sort of legal issues. Seed Box primarily supports both Linux and Windows operating systems in order to enable downloading and uploading of different files at a faster speed. Besides, Seed Box packages are flexible for different versions of Windows like Windows XP, 7 and 2003 operating systems. Moreover, if you prefer to get customized packages of Seed Box, you will get the option for uploading ISO at your personal device. 1. Root access to the FTP server. 2. You can easily upload or download various types of files through using the RTorrent and uTorrent. 3. You can certainly back up your personal databases. 4. You will also get an option of data storing even at the offsite location. In order to get all the beneficial features, you will need to get a personal Seed Box server. 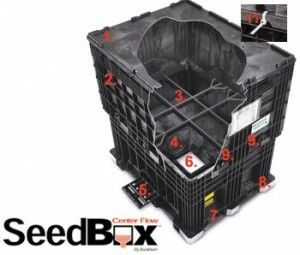 The basic reason of using the VPN or virtual private network service is to speed up the connection while using the Seed Box. Besides, this unique service will help to protect the fire sharing activities as it will hide all of your activities in the Internet world. Moreover, you can certainly share a variety of contents like audio clips, video clips, image files and others through using Seed Box along with a renowned VPN service provider as it can do that with higher connection speed that may not be possible from other services. There are not many available VPN service providers that can work with Seed Box as free VPN service providers are not eligible for providing Seed Box services. In order to make it possible, you will have to get a popular paid VPN service that has the capability of working with Seed Box efficiently. Therefore, you will need to look for a VPN service that has all the necessary features related to the Internet service. Moreover, you need to be sure of their security policy whether the service can provide top notch online security and privacy for users.